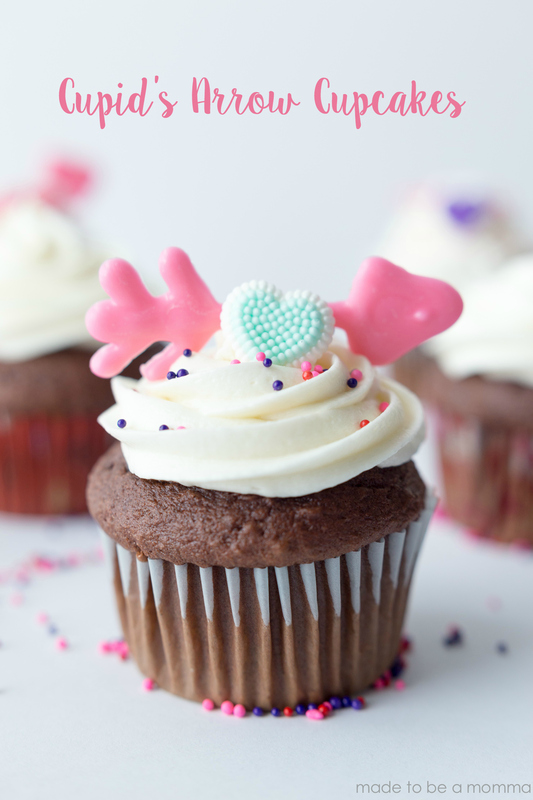 These Cupid’s Arrow Cupcakes are a fun way to spread the love during this fun Valentine’s Day Holiday. Oh there is just something about all the pink and girly vibes that Valentines Day decor and desserts give off that just makes me so happy! Who’s with me? 🙂 Valentines day seems to scream chocolate right? 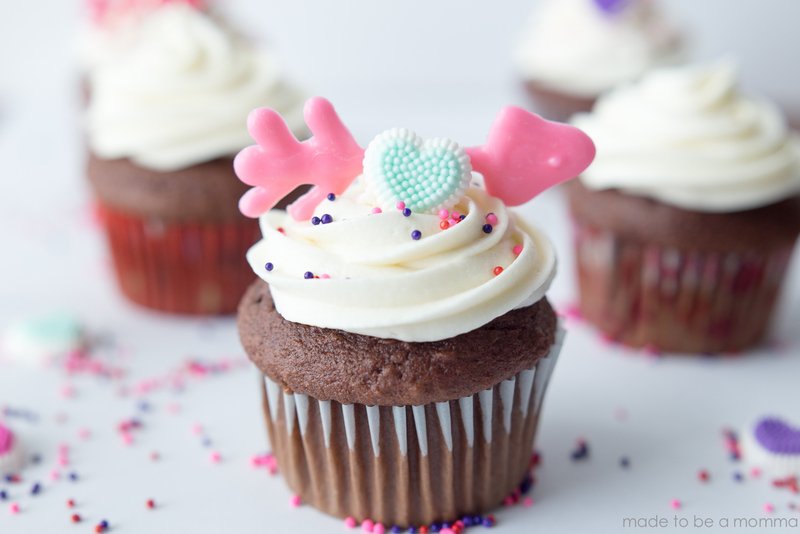 Well, these cupids arrow cupcakes are made with my perfect chocolate cupcake recipe that is sure to please your sweetie! I also made some pink chocolate arrows following the same steps I did for my snowflake cupcakes. 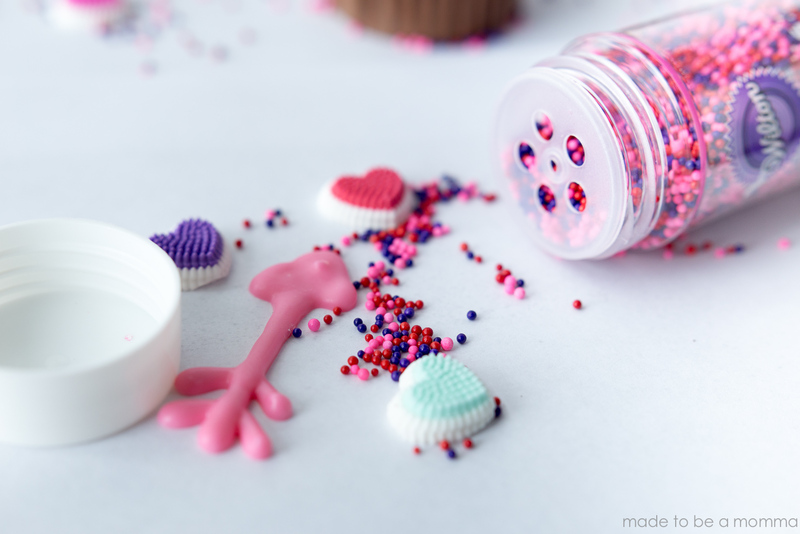 Top the cupcake off with a cute candy heart and some sprinkles and you have an adorable cupcake.